Australia and gambling go hand in hand, and online sports betting is no exception. Australian gamblers can bet on sports both at locally-regulated bookmakers and online with any one of the top Australian bookmakers. Whether you want to make a sports bet on the National Rugby League, Melbourne Cup, or any big sporting event somewhere else in the world, there are numerous Internet betting options available to Aussies. Gambling is a huge part of the Oz bet culture, with Australians easily among the keenest gamblers in the world. While, in Australia, sports betting online is not the most popular form of wagering in the country, it is a popular pastime. Over the past decade, the revenue generated by Australian sports betting has more than tripled, so that should tell you something. For April 2019, our top rated Aussie gambling site is Unibet . For many Australians, being part of the sporting community gives a feeling of deep cultural connection with a scene that promotes unity and togetherness. This is reflected in the number of brick-and-mortar betting houses available to Australians but also contributes to the increasing popularity of online wagering. 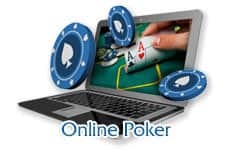 Online and mobile betting sites may be new to some but they provide some key advantages over the traditional brick and mortar betting shops with the most important being the ability to place wagers on sports that are not local, such as international events, and sports that may be happening in remote parts of Australia. In addition to this, with online betting that pay out real cash being so popular, there are so many more choices of betting sites so making the best bet (with the best odds) is easier than ever before. Combine these aspects with the ability to do in depth research before bets are placed, giving you a key advantage when choosing which wagers to place, and you have one of the best betting experiences right at the touch of a button. As previously stated, gaming enthusiasts in Oz have many options – both web and offline – for placing sports bets in Australia. When it comes to brick and mortar establishments, TAB sports bets are the way to go, allowing punters to place a real cash bet in person or (in many cases) over the phone. When it comes to online betting, Australians have even more options at their disposal. Not only do many licensed sportsbooks allow Australians to place real cash wagers at their rooms, but many foreign bookmakers also allow Australians to join and make wagers with them online. In fact, Aussies interested in betting on the web can sign up with many of the world's top established online bookmakers, including several of our most recommended gambling sites. There's also plenty of options for Australian gamblers to find casino sites around the clock where they can play online pokies. Playing a few slots games to pass the while between races or matches can often result in some great winnings! With the rising popularity of sports betting, Australia’s online community has seen the next logical step in the evolution of betting: sports gambling for your mobile device. 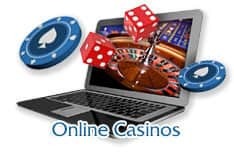 Taking the convenience of real money online betting to the next level, sports betting on mobile devices such as iPads, iPhones, Android cell phones, Windows tablets, and any number of any mobile device (provided that it has access to an internet connection) is both fast and easy. 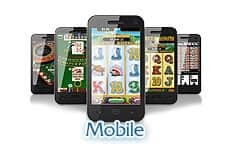 Mobile sports betting sites can be accessed through their official apps, found in the PlayStore for Android devices and the iTunes store for iOS users, or through any mobile browser (html5) for a convenient betting experience on the go. With support for applications for all brands and operating systems, from the latest iPhone to your Android device from Sony, Samsung’s Galaxy range, HTC or Nokia; to your ever faithful Surface Pro, Amazon’s own Fire, or even your trusty Blackberry, there is guaranteed to be a sports betting site for you. Football - in particular Aussie Rules Football, the "beautiful game" has a massive Aussie following with the Australian Football League having fans throughout the country, and a more limited following around the world. While the A-League and the national team – known as the Socceroos – have strong followings and attract a tonne of online sports betting action, betting on the World Cup has become very popular amongst Aussies all around the country. Rugby - slightly less popular, The National Rugby League as well as other rugby competitions see some support from Australian fans. American Football - though not as hugely popular as Australian football, nevertheless the Aussie audiences have been known to follow college and pro football hailing from their American cousins. Cricket - the hugely popular English import, cricket holds a special place in the lives of Australian betters with the ever popular Ashes series against England providing plenty of chances to make bets. Basketball - though not as popular as some of the aforementioned sports, Australia's National Basketball League has a small but loyal following that keeps the sport alive and well in betting circles. Tennis - a fan favourite due to live "in play" wagering on matches, tennis takes up a huge chunk of betting action for Aussies too. The annual Australian Open in Melbourne attracts a worldwide audience, and betting action to match. Due to the ever increasing rise in popularity of sports betting sites, it is easy for betters to fall into the trap of choosing a less than reputable site to place their next bet at. While we take great care to vet only the best Australian sports betting sites for our Australian audience, we understand that our fans want to open up their horizons that is why we are dedicated to equipping YOU with the tools to choose good betting site. Australia and gambling are a rather familiar combination, and real money sports betting online is no exception. There are numerous betting sites available for the public in Australia, which cover some of the popular spots in the region, such as; Rugby league, AFL and NRL. Despite sports betting in Australia being quiet in the past, recently it has generated a huge amount of revenue and is constantly on the up. If you're new to the online betting world, the following list will answer some of the typical questions that you may have. How do I make sports bets? The process of sports betting is quite simple, and is more or less the same on any site you'll access form Australia. You'll see every sport that you can bet on listed on the site's toolbar, and each sport will have its own dedicated page. When it comes to placing a bet, the site will usually show you the returns on your bet, so you can better judge the option you select. If you are lucky enough to win, your winnings will be added to your account as soon as the match or game is over. It's up to your whether you use the money for more bets or to withdraw, either way, most sites make the process very easy. What are the online basics? If you're new to the online sports betting world, then at first glance it can be really intimidating looking at the different types of bets available, e.g. point spreads, handicaps and accumulators. Sticking to the basic bets and understanding those is the best thing for new players to accomplish. A basic bet is simply picking a team to win an Aussie Rules Football game. If you are unaware of the best teams or the current form of teams in that sport, then doing research on that sport is definitely a must. Without doing research on the sport you are betting on, you are essentially just gambling like you would on Blackjack or Roulette. With sports betting there is definitely a lot more knowledge behind the game and a bigger chance for customers to win if they do plenty of research before placing a bet. There are no specific rules set for each player, obviously some things you won't be able to which will not be processed by the sites. However, the only restrictions that are set are by yourself e.g. deposit limits and self-exclusion settings. What are the popular sports to bet on in Australia? Like every other country, there are specific sports that are much more popular than others, and Australia is the exact same. Aussie Rules Football is probably the most popular spectator sport in Australia, as well as the Australian Football League. Although these sports have a limited following around the world, they are very popular in Australia and there is a huge market for them in regards to online betting sites. Other popular sports to bet on include Football (soccer), with the A-League, national team and other football from around the world. Similar to America, football has grown tremendously in the past two decades in Australia and will continue to grow. Also, Cricket is very popular in Australia, especially around the time of the Ashes against England and Tennis takes up a large amount of betting action during the Australian Open in Melbourne. There is definitely a wide variety of popular sports to bet on in Australia, amongst others from around the world. Each online sportsbook has a sign-up bonus for new customers and finding the most suitable one for you is vital when you are new to the online sports betting world. The best thing to do is to research a number of sites that are available in the Australian market and try to go for the most suitable one to help boost your bankroll. Sports betting differs from online casino games in that you can use skill to study a team's form and make a more educated bet. It is also more interesting to be able to follow the teams and sports you have a stake in. While a bet is still a bet, and nothing is certain in gambling, you can at least see an increased likelihood of winning by following a team's fortunes, and misfortunes. It's also a good idea to have a strategy for your bankroll. You can build on your initial deposit with steady bets for small amounts, say on the big favourites, which gives you a far better chance of winning, if not by much. You can always go for the big wins, a lot of people do, and if you're lucky you can get a huge boost to your bankroll very quickly. However, betting smarter and consistently will improve your experience long term. What is the typical house edge in sports betting? The typical house edge in sports betting is around 3.5%. However, in sports betting, the house is essentially the other sports bettors and the bookmaker acts as a broker between players betting on either side. How should I manage my money? For newcomers, the best thing to do is take it slowly and build yourself a bankroll over time, rather than going for an all out to win approach. A good way to bet is by only risking 5% at a time of your bankroll and placing those bets on odds that are favourable to you, this way you will limit the variance and slowly build a nice profit. Additionally, with this technique you will be able to cope with a streak of losing as opposed to chasing your losses with a big bet and inevitably losing your bankroll. It might not seem like you are making much money at the time, but once you've built a nice bankroll you can start to place some bigger bets and go for a larger win. How do the odds compare sport to sport? With sports betting, the odds only differ depending on the players/teams in the competition. For example, in Aussie Rules Football, if the best team in the league were playing an average side, they are always going to be odds on to win. However, if the best team in the league were playing the second best team in the league, they might still be favourites but the odds might be closer or the second best team in the league might be the favourites depending on their current form/results. In sports such as Golf or Tennis, the players who are ranked the highest in the world rankings are usually always going to be favourites against players who are below them in the rankings. Therefore, the odds compare in sport to sport by the current rankings of players, the current form they are in and the format of the specific competition. Which sites offer the quickest payouts? 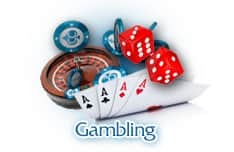 With numerous sites running in the Australian market, customers are able to research the best ones for them, to give them the best possible gambling experience. Withdrawing your winnings is a vital part of what makes a site attractive to customers. The sites listed below will give you a clear view on their withdrawal process times and what best suits you. Bet 365 have a wide variety of withdrawal methods with different process times. The following list is some of the withdrawal options available and how long it takes for money to be withdrawn into your bank. Titan Bet is another popular website to use in Australia and also has a wide variety of withdrawal methods for customers to use. All of their withdrawals tend to take up to 48 hours to process unless any further security verifications are needed. After that withdrawals should reach players bank accounts within 3-5 business days, which is one of the most efficient processes in the Australian sports betting market.